As we are mere days from being able to say “Australia doesn’t build cars anymore”, or “Holden doesn’t make Commodores here anymore”, let’s look at an idea that – if it got off the ground – might have paved the way for the future. 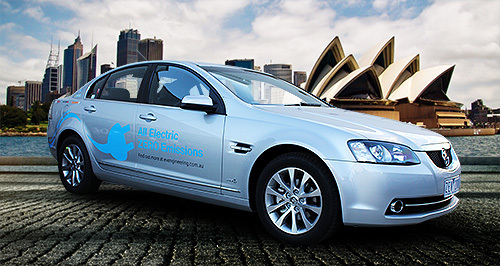 In 2012, seven prototype VE Commodore and Calais sedans and Sportwagons were stripped of their Alloytec V6s and automatic gearboxes, with lithium-ion battery packs, electric motors and the hardware to control it installed in their place. 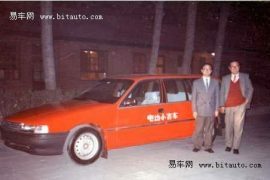 The objective of this was to get to market a $50,000 electric Calais, some $10,000 less than the imported Holden Volt plug-in hybrid. The motor made 140kW and 400Nm, which was down in power compared to the original donk, but significantly up in torque, from zero RPM, no less. The resulting 0-100km/h time of 8.5 seconds was comparable to the V6 powered equivalents, while a range of 150km was impressive for the time, remembering this is before the Tesla Model S and Model X arrived with significantly more. For longer journeys, partner Better Place was working on a battery swap infrastructure, which ultimately fell through in 2013 as one of the fallen dominoes that lead to the demise of this project. Over 50,000km was covered in each prototype before the aforementioned collapse of Better Place. 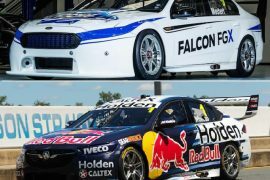 Holden’s decision not to supply VF Commodore successors to the VE prototypes meant there was no local testbed anymore. A new ‘axial flux’ motor with 150kW and 2800Nm was developed, but ultimately never saw fitment into any of the prototypes. Plans for a hybrid version of the Commodore again never saw the light of day. 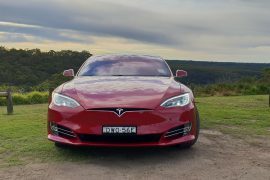 The seven prototypes are still kicking around, some at the Melbourne University to evaluate the long term impact of batteries in electric cars, while a few are still at Bosch’s Australian headquarters. It was seen as a gamble back then, but with 20/20 hindsight and nearly every carmaker now throwing themselves at the EV bandwagon, it was perhaps a decision that could’ve paid off. There are no plans for an electric version of the upcoming ZB Commodore that will be imported from Germany, but a South Australian company Red Automotive Technologies is hoping to get an electric SUV and pickup ute off the ground soon. Here is some footage of Mark Skaife testing the electric Commodore prototypes with then EV Engineering director Ian McCleave. 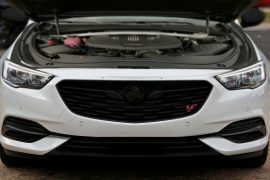 Would you have purchased an electric Holden Commodore? Let us know in the comments section below.